Across the heavens, the dynamic cloud of a nebula is a fertile breeding ground for new stars, which explode to life at 1 million degrees Celsius. Although born of the same creating cosmos, the new stars vary in their luminosity—the power at which they emit energy. 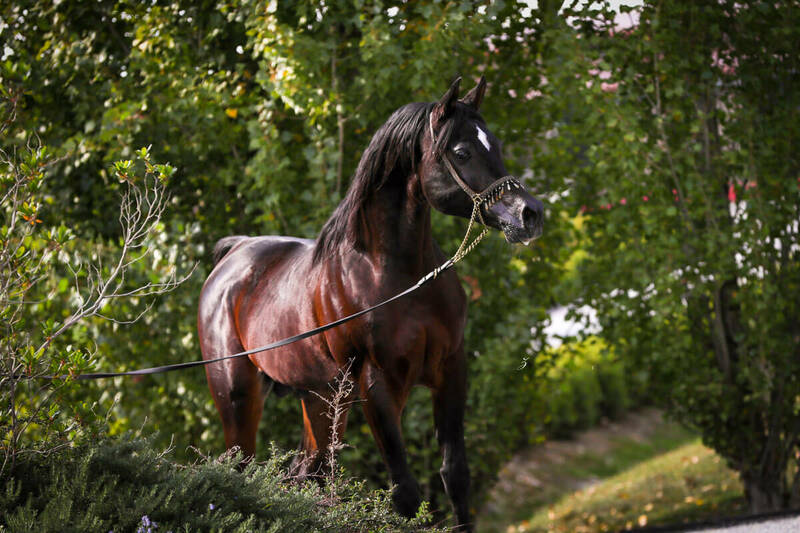 At Al Jood Stud, it is the head sire Alixir whose progeny are exploding with quality, carrying his stamp in combination with a variety of female lines. The “Alixir Nebula” is producing a stable of future stars for owner Mohamed Jaidah. 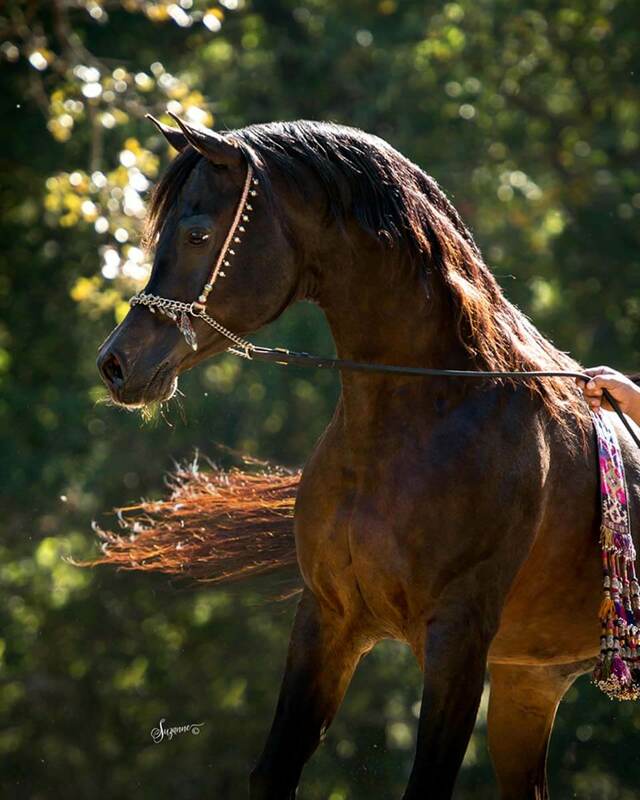 Bred by James and Judy Sirbasku at Arabians Ltd. in Texas, Alixir is a straight Egyptian son of The Elixir and is out of The Prevue, a daughter of The Minstril. 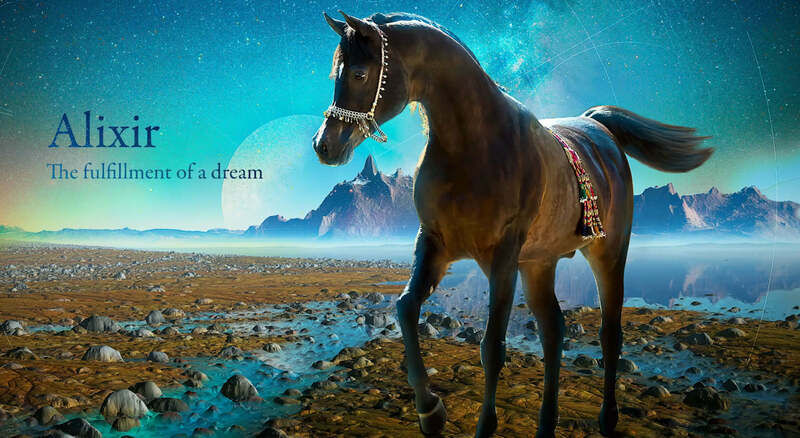 Alixir was never on the market; but when Judy recognized Jaidah’s true love for the stallion, she agreed to let him purchase his dream horse. Alixir embodies all the qualities that Jaidah holds in such high esteem: a smooth, balanced body; long, elegant neck; strong, straight legs; a small, chiseled head; and an abundance of electric presence. 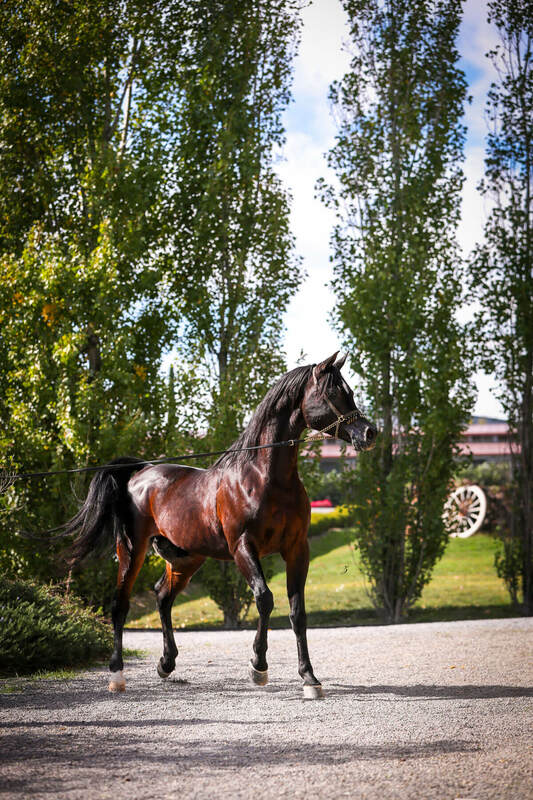 After spending his first 19 years in the United States, Alixir is now standing at stud at Tolrá Training Center in Spain; to the delight of breeders who are eager to see him in real life and use him with their mares. 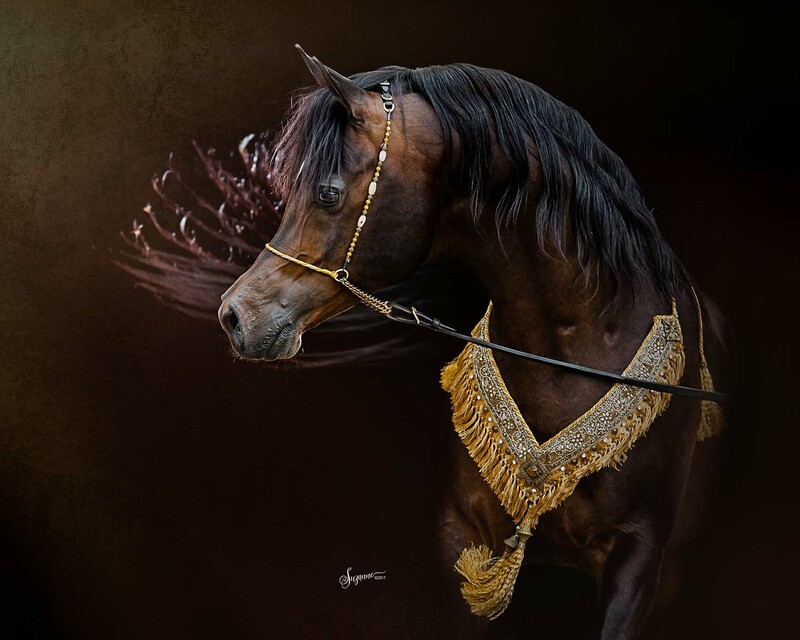 In sync with his European unveiling, Al Jood Stud has been promoting Alixir through his progeny in show rings around the world. 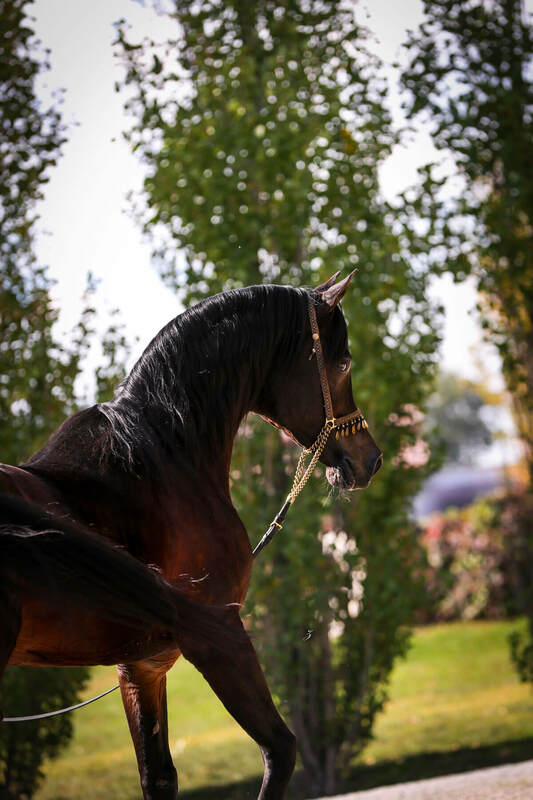 At the top of that list is Qaysar Al Jood, Alixir’s heir apparent—proudly bred and owned by Al Jood Stud—who is standing at Tolrá Training Center in Spain while preparing for future competitions. Among the most precious of the Al Jood Stud Alixir daughters is Malak Al Jood, whose dam is the magnificent Miss Maggie Mae, by The Minstril. 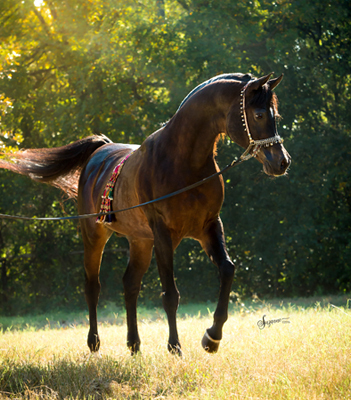 Foaled in 2015, Malak is the result of Mohamed Jaidah’s astute purchase of one of the last three embryo rights available from Miss Maggie Mae, which he used with Alixir. The resulting filly has a powerful pedigree that demands she be given plenty of time to develop at her own pace. Without question, she will be a valuable addition to the breeding program in the future. 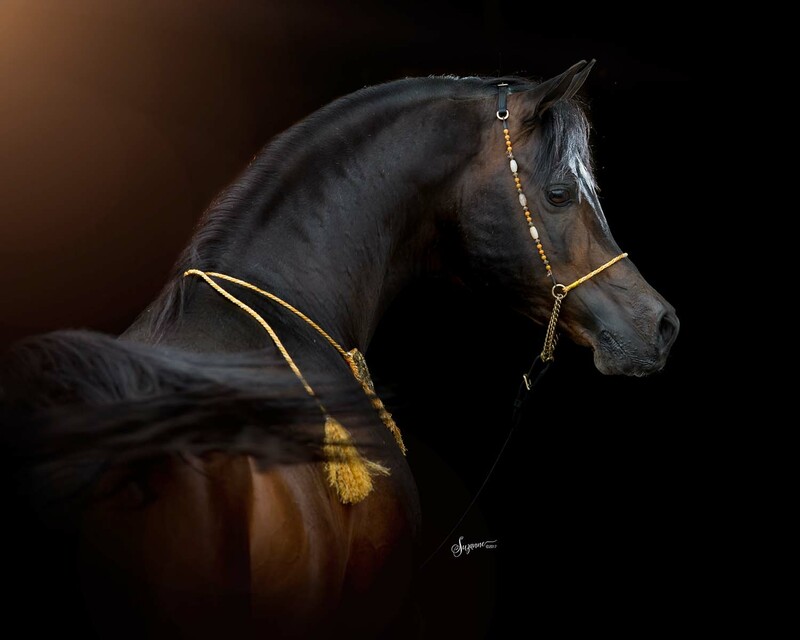 Touted by expert horsewoman Shawn Crews as “one of today’s most valuable and historically significant young Straight Egyptian mares,” Malak Al Jood has the genetic potential to positively affect the Al Jood breeding program for generations to come. Alixir is also distinguishing himself as a sire of exceptional broodmares, as evidenced by the many champions produced by his daughters. 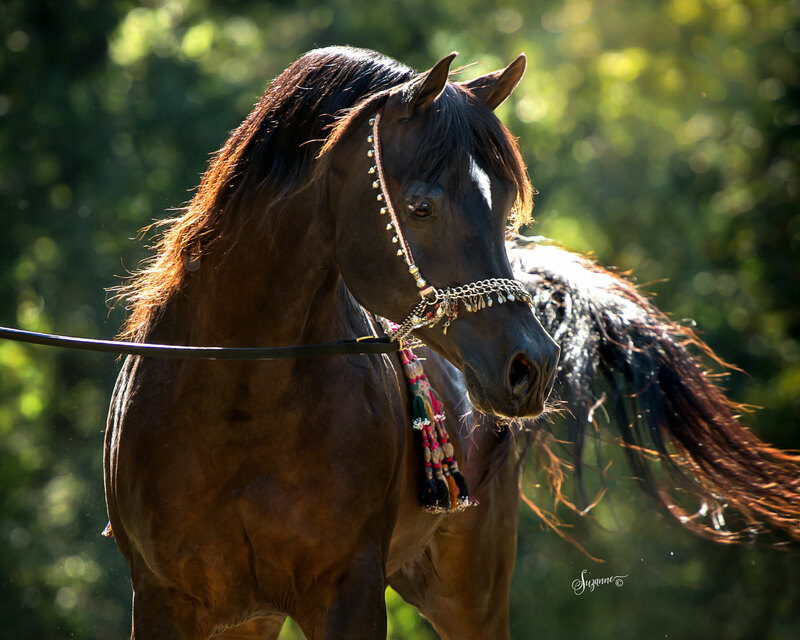 A perfect example is RSL Faith, the dam of Al Jood homebred Maraam Al Jood, the 2018 U.S. Egyptian Event Silver Champion Straight Egyptian Senior Mare and 2017 Bronze Champion Straight Egyptian Junior Filly. 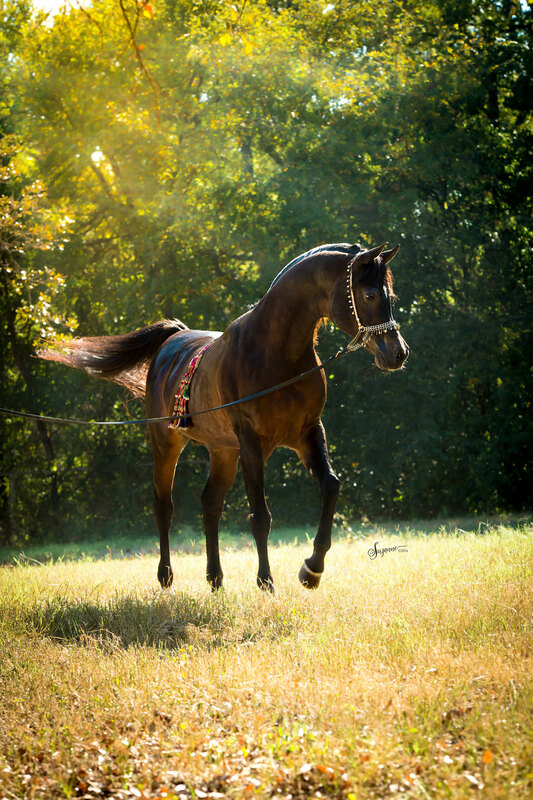 It was a wonderful follow-up to Maraam’s previous appearance in Lexington, KY at the 2015 Egyptian Event, where she was named the Futurity Finals Straight Egyptian Yearling Filly Champion. 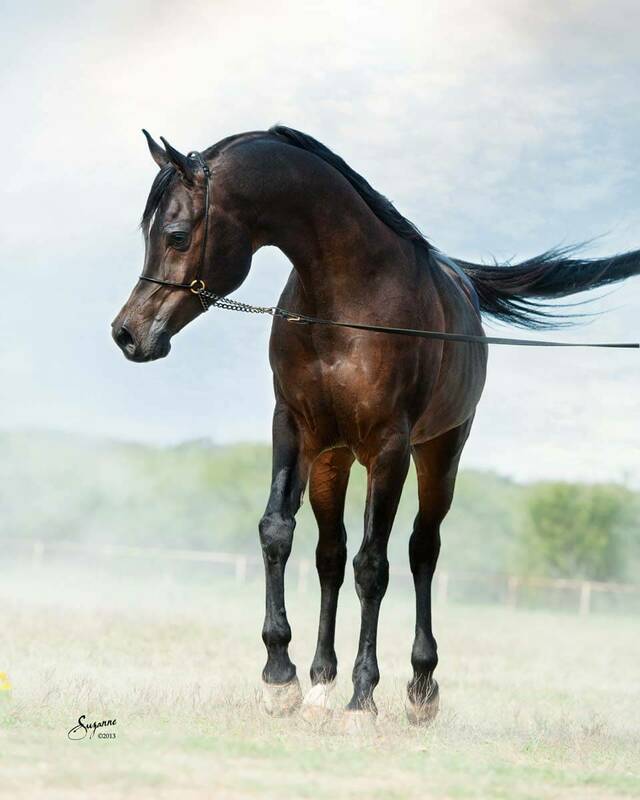 RSL Faith comes by her pre-potent blood naturally: She is a full sister to the powerhouse trio of brothers Qaysar Al Jood, Bellagio RCA, and Mirajh RCA among others of the same cross. 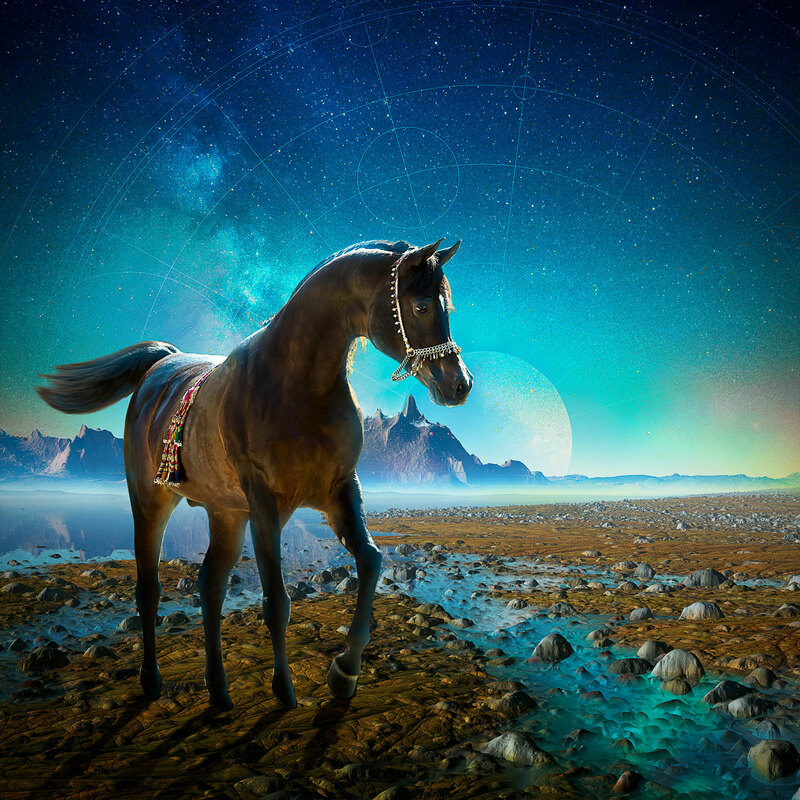 They are all children of the incredible Thee Desperado mare, Rhapsody in Black.